One of the best wooden coaster on the planet but the rest of the park isn't great. A fun arcade and mini golf course but there new little zamperla thrill rides are a dissapointment. They removed stratosphere thrill ride which was awsome for two kiddie rides. Very heart breaking. But overall.....ehh it's fun for a couple hours at night. Boomers is a large fairly run down Family entertainment center that happend to have one of the best wooden coasters in America! Boomers itself had a decent arcade and some fairly standard mini golf and go kart tracks that were nothing special.. However the Dania Beach Hurricane was an exciting airtime filled L-shaped double out n back coaster that was one of the best anywhere. The park and coaster are currently closed but there have been rumors of a possible relocation of the coaster. This place is pretty much a large Family Entertainment Center with a pretty decent wooden coaster (that is now closed). 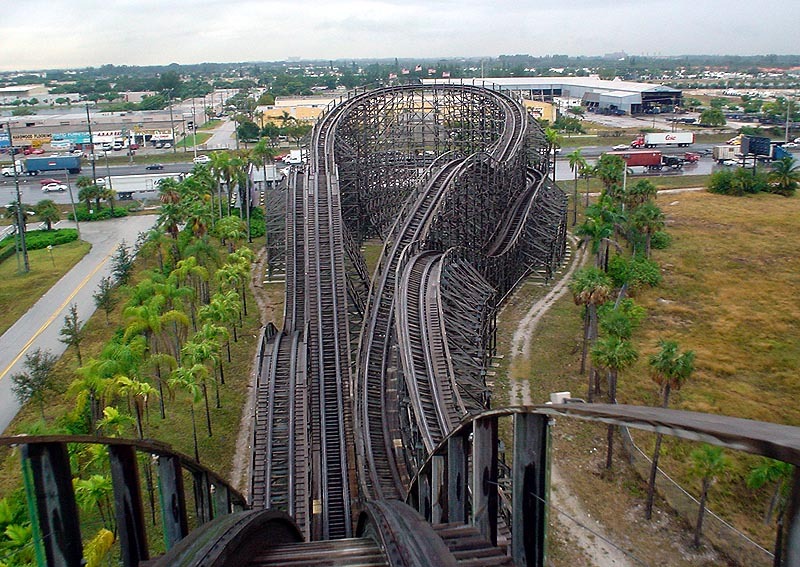 The coaster was the only thing that would really draw coaster enthusiasts to the park, as it was really the only major coaster in South Florida, and the only good wooden coaster in the state. Without the Dania Beech Hurricane, this place really isn't worth a visit. 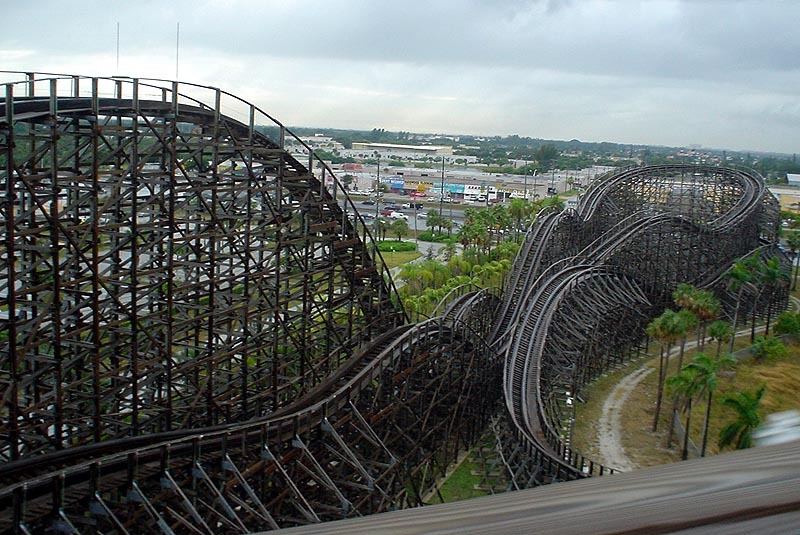 Dania Beach Hurricane is one of the best wood roller coasters out there. It has lots of airtime and is very re-ridable. When I visited, it did not have a line and I was able to ride it as many times as I wanted. I suggest buying an unlimited ride wristband and also riding Skyscraper. The park also has mini golf and go carts.